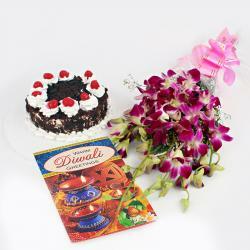 Celebrating this diwali at friends house? 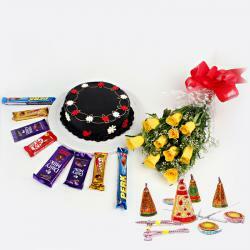 Gift them an amazing gift pack this year. 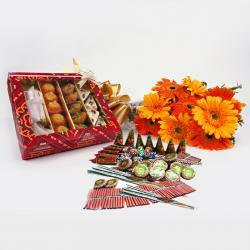 It has a packet of soan papdi 2 earthen diya and a bouquet of 15 mix flowers. The bouquet of flowers will bring freshness and the fragrance of these beautiful flowers will make their life full of love and positivity in their home. The diya will clear off all the darkness and will be source of inspiration to be competitive and strong. 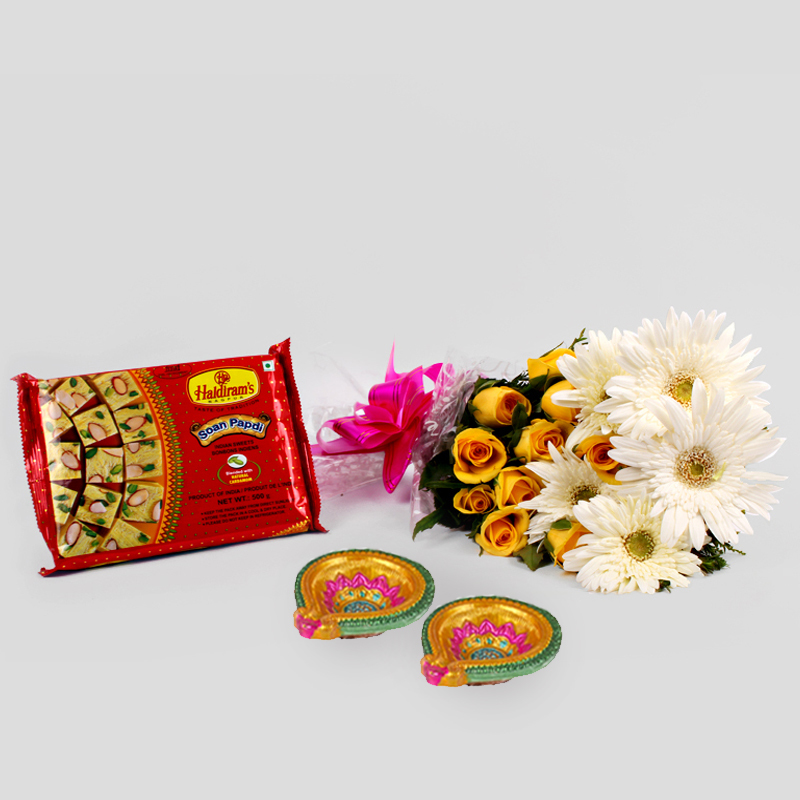 The sweetness of the soan papdi will bring happiness in their lives. This combo is perfect for gifting as it is full of positivity in its collection. 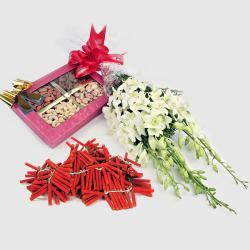 Product includes : Bouquet of 15 Mix Flowers Like Gerberas and Roses with Box of Soan papdi (Weight : 500 Gms) along with Pair of Diwali Earthen Diya.